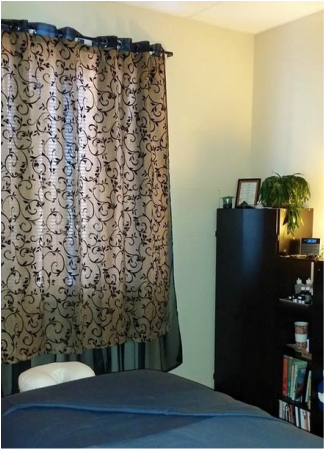 My unique approach is found in the combination of bodywork modalities tailored to your ever evolving and unique needs. My experience is acquired through my education at Crystal Mountain School of Therapeutic Massage, Sacred Lomi LLC, Anatomy Trains Myofascial Work and other continuing education courses. Most importantly every single client session teaches me how Body Mind and Spirit are intimately connected. The focus of my work is to listen to your body while I work to support you on your healing path reducing pain and stress from modern life. ​The modalities I draw from are myofascial release, neuromuscular therapy, cupping, hot stones, lomi lomi, aromatherapy and visceral manipulation. The choice of appropriate technique and my knowledge of anatomy and physiology help me take care of your headaches, neck/shoulder & back pain, recovery from surgeries, emotional and physical tension, fibromyalgia pain, and many more.